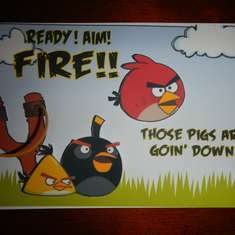 My daughter LOVES the Angry Bird Piggies and asked to have a Pig's only party for her 8th birthday. I decided to go with a green monochromatic party and add a wood texture. I found all the green products I needed using Kara's color option in her shop. 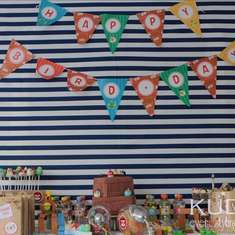 For the backdrop I decided to go with all green and green and white zebra print crepe paper. The table was also adorned with white daisies in green water to add a feminine element. 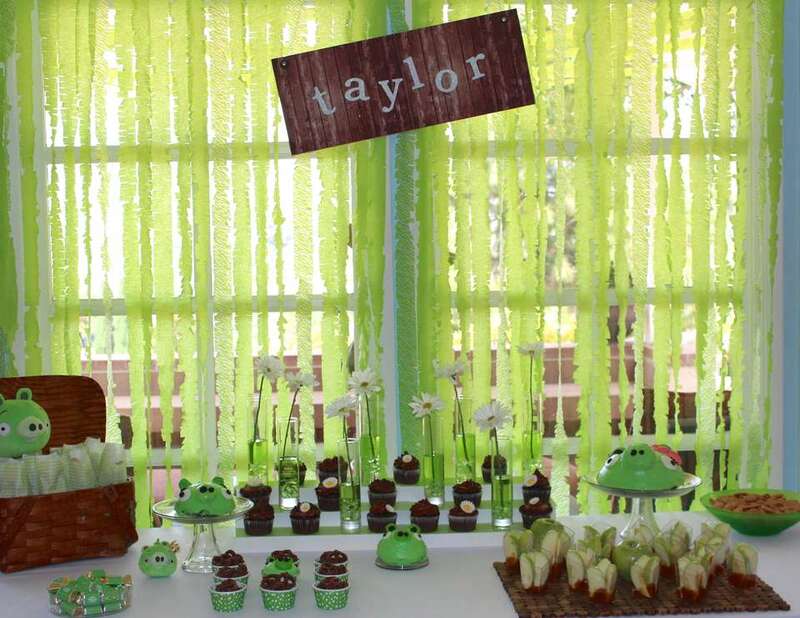 We served green apples with caramel, chocolate on chocolate cupcakes with sugar daisies, old fashion peanuts in mini chevron bags, Angry Bird cookies, mini candy bars in custom wrappers and chocolate covered pretzels in green polka dot candy cups. In another section of the party we had wood berry baskets with fresh fruit and veggies. The kids were each given a cup with their name on it and served green lemonade. The favor was a mini bird house with a bag of embellishments for them to take home and decorate. 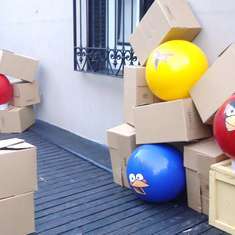 Nice.My dd is a big fan of angry birds.I showed him these pics and now he wants angry birds themed party for his birthday.